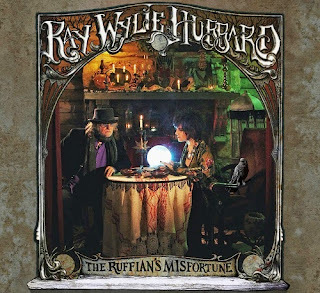 That tweet could be read as a darn good self-evaluation of his latest record, The Ruffian’s Misfortune. Once again, Hubbard has given the world a swampy, blues-soaked collection of tunes in which, in his trademark Okie drawl, he tells stories of sin and salvation; gods and devils; women who light candles to the “Black Madonna;” undertakers who look like crows (“red-eyed and dressed in black”); and hot-wiring cars in Oklahoma. That’s still true. 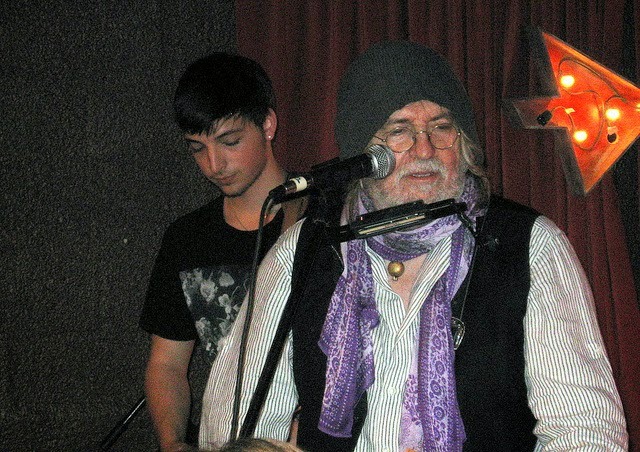 And Ray Wylie is more prolific than Waits, too. He’s using the same basic band he’s used on his last few albums, including his son Lucas Hubbard on guitar, George Reiff on bass, and Rick Richards on drums. Together they’ve crafted a distinctive sound, and, like Hubbard himself, they keep getting better. Hubbard name-checks some of his rock ’n’ roll forbearers — the Rolling Stones, the Allman Brothers, Billy Gibbons of ZZ Top – in “Bad on Fords,” a song he co-wrote with country star Ronnie Dunn -- and previously recorded by Sammy Hagar. He’s trying to convince some “pretty thing” to go on some crazy joyride from Abilene to L.A. “We’ll stop at The Sands in Vegas and bet it all on black 29,” he sings. The song “Down by The River” is a frenzied tune that might remind you of James McMurtry’s “Choctaw Bingo.” Hubbard’s tune is about a bunch of El Paso kids crossing the Santa Fe Bridge into Juárez to “sip a little poison.” Violence lurks everywhere – gunfire, bloodstains, those crowlike undertakers burying bodies down by the river. Undoubtedly there’s a little bit of Jessie Mae Hemphill in the singer with the “short dress, torn stockings” who is subject of “Chick Singer, Badass Rocking.” Hubbard probably sounds a little lecherous here, but even if that’s so, it’s far outweighed by the sheer admiration he has for this unnamed belter, carrying on a sacred American tradition at her midnight gig at some dive. Hubbard wouldn’t look that great in a short skirt and torn stockings, but he’s carrying on a noble tradition himself. 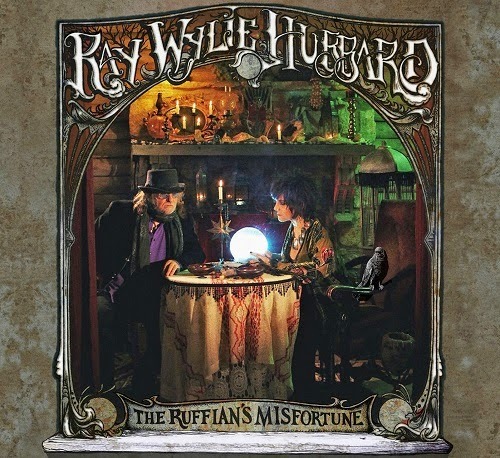 And here's another song from The Ruffian's Misfortune, performed with the co-writer Jonathan Tyler. Correction: The earlier version of this incorrectly called my favorite James McMurtry song as "Cherokee Bingo." The real title is "Choctaw Bingo." Sorry, wrong tribe. It's been corrected in the text.